We're thrilled to have Victoria of SF Girl By Bay guest blogging for us today. Victoria has an amazing eye that we've admired for years and love idea of going big in the art department. Hi Poppytalk readers, it's Victoria from SF Girl By Bay dropping in today to share some artful ideas for decorating. 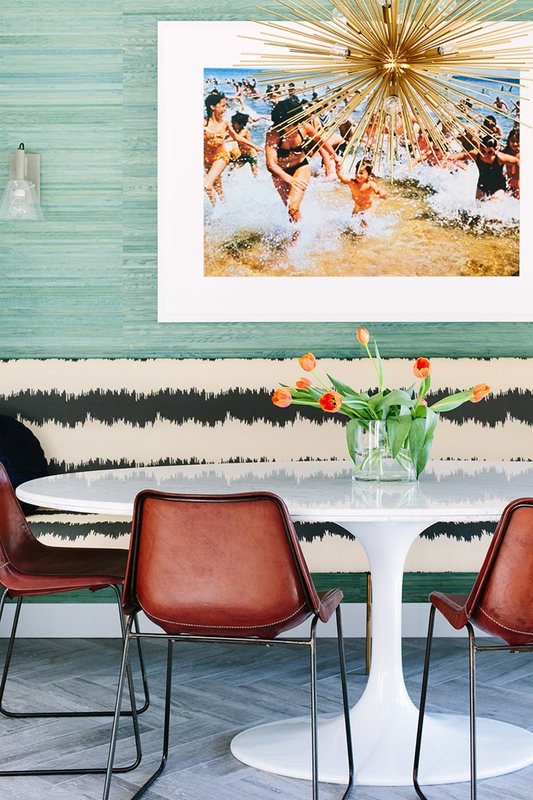 Have you been noticing the trend lately of decorating with one minimal, but very large piece of artwork? I love the bold statement that a large photograph makes -- drawing your eye into a room and creating a stunning and dramatic backdrop. 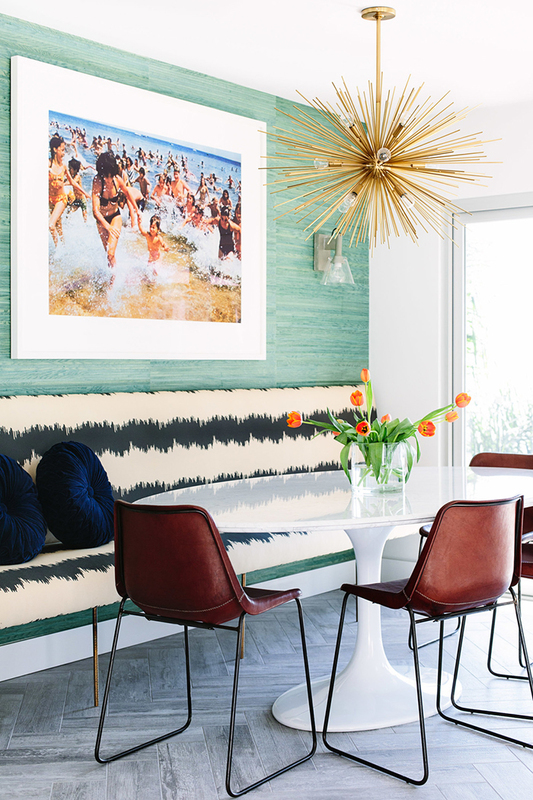 I love this dining room designed by Black Lacquer Interiors and went on the hunt for a few examples of large format art you can shop online for. 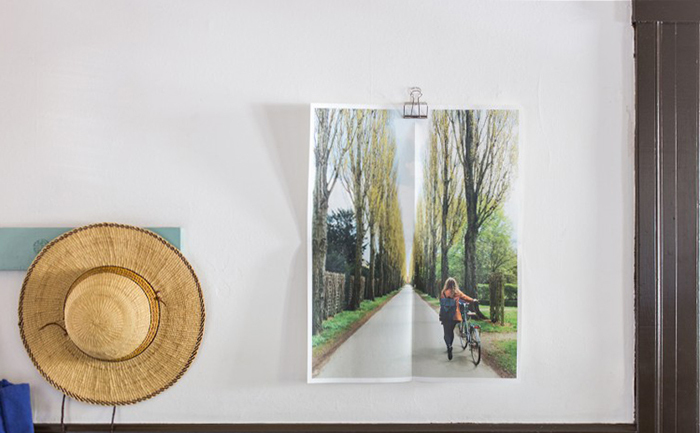 You can also print your own Instagrams and other digital images super big with online companies like Framebridge, Artifact Uprising and Parabo Press which can be a super affordable way to add very personal and unique artwork to your space. 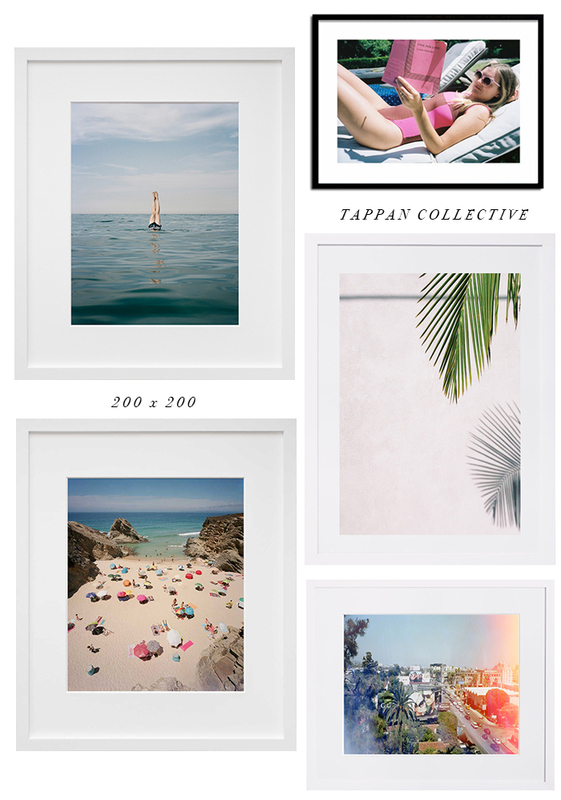 Online art galleries like 20x200, Mammoth Collections and Tappan Collective are also great resources for getting the big print. 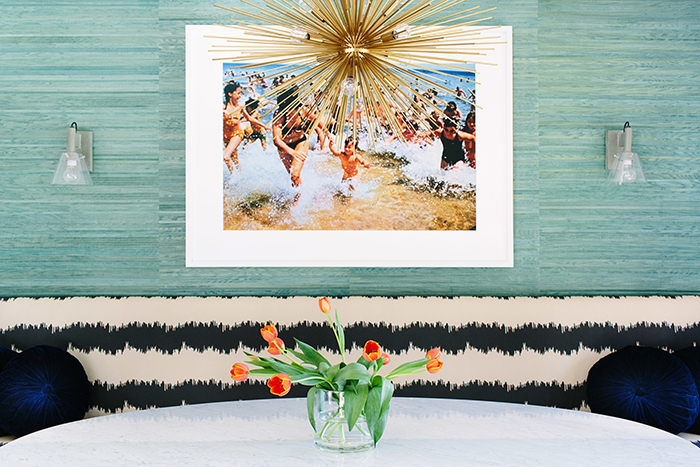 I love that room with the sputnik chandelier and beach art! So much fun. 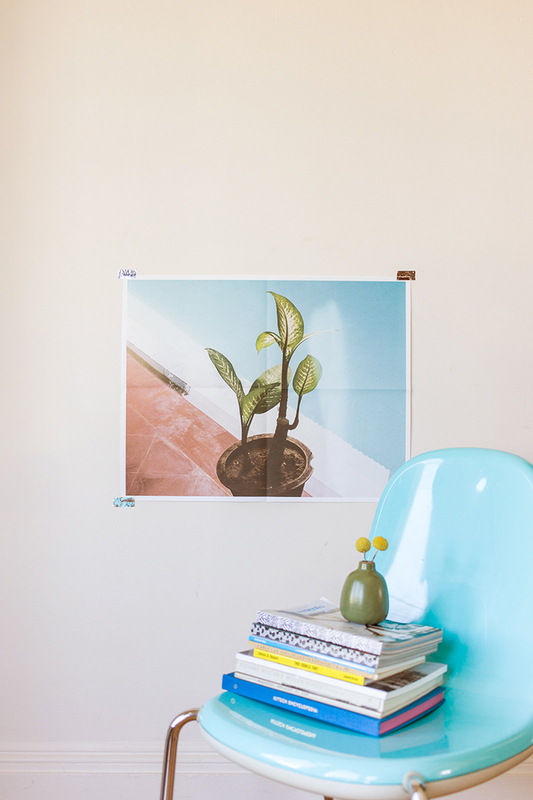 I work for an art company that sells HUGE canvas prints for home and we've definitely noticed people buying less in quantity but more in size. And who can blame them? One big piece of art is such a conversation piece. These are fantastic ideas! I wasn't aware of all the vendors you've listed. My family and I will be returning to China this summer so I imagine I'll have a hard time narrowing down my choices of photos to enlarge. :-) Thank you and Cheers!